Wild and authentic, you're going to love Lozère! People who enjoy peace and countryside, as well as foodies and thrill-seekers, will be well catered for here! Set off for some hiking in the tracks of the wolves and vultures, dive into the depths of the earth when you visit Dargilan or Aven Armand cave, or have a go at some extreme sports with kayaking, via ferrata or bungee jumping. Your camping holiday in Lozère won't be complete without trying some of the delicious local produce either! Fancy the idea of setting off to explore the region? The campsite will take care of everything! An instructor can be arranged specially to come and find you at the campsite for going down the River Tarn in a canoe kayak, before picking you up and bringing you back to the campsite at the end of the day. Like the idea of seeing the wonderful panoramas of the Gorges du Tarn? At campsite reception you'll find all sorts of hiking maps. 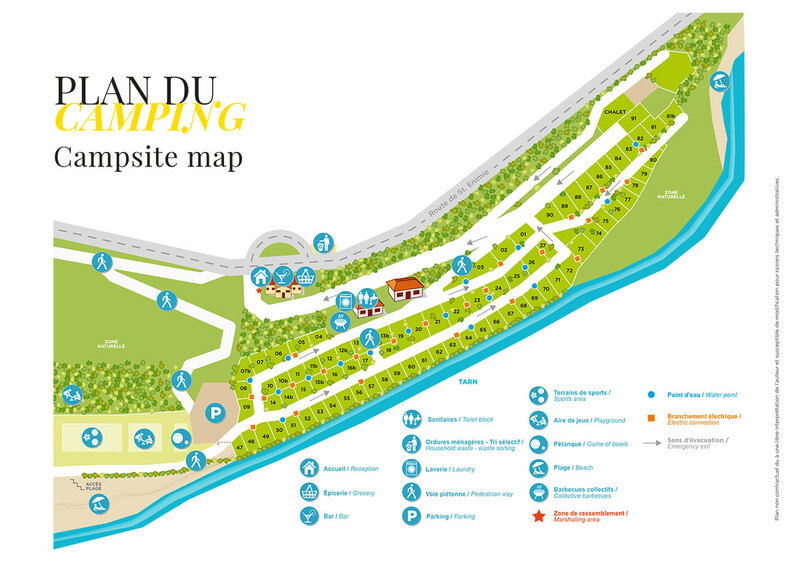 A walking guide has also been designed especially for you by the campsite team!